With shear time upon us, it is time to consider two great opportunities for your fleeces! 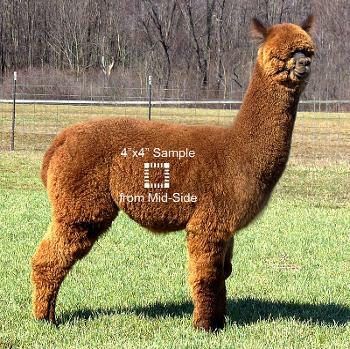 Send fleece samples to Yocom-McColl for testing to receive histogram results and participate in the AOA EPD program. Prepare and enter your fleeces into AOA show competitions. You can do both, participate in the EPD program and enter your fleeces in the show system. A 4" by 4" sample from the mid-side is needed for fleece testing. The sample needs to remain in staple configuration for optimal testing. Removing a 4" by 4" sample will have a minor effect on your total fleece weight. Spin-Off and Cottage Fleece competitions are also offered along with the traditional Fleece Show competition at many AOA fleece shows. You must use AOA's online shear report tool to submit your samples to Yocom-McColl to be included in the EPD calculation. Then sit back and relax while Yocom-McColl tests your fleece samples, emails your histograms to you, and submits your trait data to AOA to be included in the next EPD calculation. 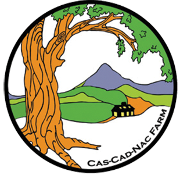 This year's deadline to be included in the 2019 EPD calculation is August 10. Fleeces can be tested year-round at Yocom-McColl, but to have your trait data included in the next calculation Yocom-McColl must receive your samples by August 10, 2019. All EPD data is confidential unless you choose to mark it public. Submit your fleece samples today! If you have never heard of an "EPD" or are unsure how it can positively impact your breeding program, visit the EPD section on Alpaca Academy to learn more about Expected Progeny Differences. View the 2018 Trait Leader Presentation (pdf) as seen at Nationals. © 2018 Alpaca Owners Association, Inc.
AlpacaGram 6.29 | Announcing April and May AOA Certified Alpaca Shows! AlpacaGram 6.28 | New special trial Fleece Show Membership!